FAO* – Climate change has many implications for farming communities and global food security. Here are ten facts about how a change climate affects our ability to grow food and feed ourselves. Help spread the word about the implications of climate change for global food security: Select a fact, and then the pop-up Twitter icon that appears to tweet it. We’ve bolded a few tweetable tidbits as suggestions for you. Tag a tweet with #COP21 to let world leaders gathered in Paris know that feeding the planet demands action on #ClimateChange. FAO estimates that world food production must rise 60% to keep pace with demographic change. #ClimateChange puts this at risk. Rising temperatures are predicted to reduce catches of the world’s main fish species by 40%. Although global emissions from deforestation have dropped, deforestation & forest degradation account for 10-11% of global greenhouse gas emissions. Emissions from forest degradation (logging & fires ) increased from 0.4 to 1.0 gt cO2 per year between 1990 & 2015. Livestock contributes nearly 2/3 of agriculture’s greenhouse & 78% of its methane emissions. #ClimateChange can transfer risks of food-borne diseases from 1 region to another, threatening public health in new ways. FAO estimates that the potential to reduce emissions from livestock production (methane esp.) is about 30% of baseline emissions. Currently, 1/3 of the food we produce is either lost or wasted. The global costs of food wastage ≈$2.6 trillion/yr, including $700 billion of environmental costs & $900 billion of social costs. 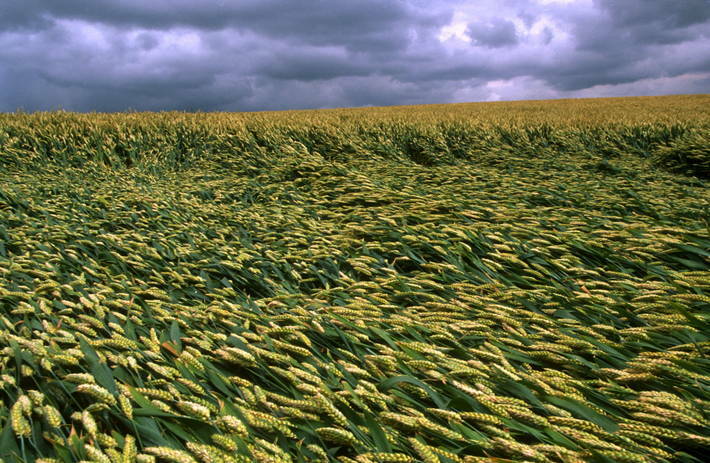 Global food loss & waste generate about 8% of humankind’s annual greenhouse gas emissions. CLICK HERE TO LEARN MORE ABOUT THE IMPACT OF GLOBAL WARMING.